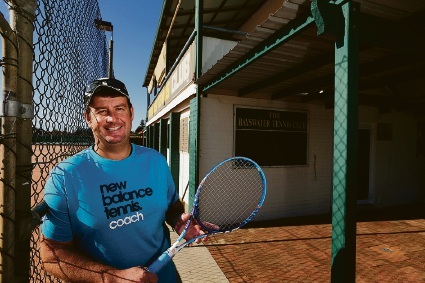 BAYSWATER Tennis Club coach Anthony Harbrow has been awarded life membership after 15 years of service as a player and coach. Harbrow, who coaches at the club every day, said he was surprised to reach the milestone. “The club has obviously changed quite a lot and I am looking forward to some new changes which are going to happen with the new club house,” he said. Harbrow said the club was at capacity with a record 16 teams ahead of the season starting on Sunday. “The kids’ teams are all very good and we have got quite a few division one teams so I think they will have some tough competition,” he said. “A lot of these guys are in the modified tennis, the hot shots tennis, it is just a matter of learning the rules and it is just about enjoying the game and ensuring they have fun. Harbrow said his goal was to ensure each team eclipsed last year’s result. “For the men’s, it is the first time we have got back to division one.We have got a men’s team in the Saturday open division one which is fantastic,” he said. “If the boys have a good season then they could make the finals and have a chance of being promoted to the state grade. He said one of the club’s former juniors was hoping to progress into the Women’s Tennis Association tour. “We do have one girl who actually left the club two years ago but she is travelling internationally at the moment and I believe she has just made it into the top 200 juniors in the world,” he said. He said that each year Bayswater was growing in the number of teams that moved up the divisions.